Perfect for ST180 steering wheels. With people wanting to customise their cars more and more and create a unique look to their vehicle we can now offer badges to fit the ST180 steering wheel. 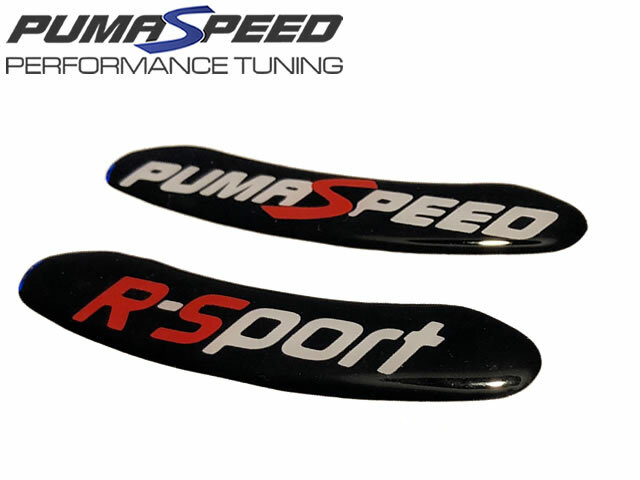 Two options are available, both Pumaspeed and R-Sport to cover the lower part of the steering wheel with an optional X-47R sticker to cover the upper part. This new self adhesive Pumaspeed badges will give you something a little different. They come as pictured with a black background and feature the various logos. Pumaspeed have a specialist distribution team that can dispatch the Pumaspeed ST180 Steering Wheel Domed Badge to any destination worldwide.